Curtis Septic is a Licensed Massachusetts Title 5 Inspector has performed thousands of Title V Inspections in Framingham, Massachusetts (MA): Natick MA, Weston, Sudbury MA, Hudson, Concord MA, Stow, Lincoln MA, Waltham, Acton, Boxboro, Southboro, Marlboro, Ashland MA, Millis, Hopkinton MA, Sherborn, Medway MA, Upton, Grafton, Millbury MA, Ayer, Harvard, Groton, Townsend, Sterling MA, Leominster, Fitchburg, Lancaster, Clinton, Littleton, Auburn, Millbury, Oxford MA, Sutton, Millbury and many other cities in Massachusetts. Our Title V Inspections team members each have an average of over 16 years of experience. 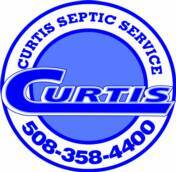 Curtis Septic is one of the most trusted, experienced Massachusetts Title V Inspectors in the Wayland area due to our Honest, Integrity and Experience. We are Licensed by the Local Board of Health in Wayland, Massachusetts area and provide the most affordable Title 5's. Curtis Septic Service has been in business for over 30 years and has performed thousands of Title 5 Inspections in the Wayland area. We're fast, efficient and can help you through the process. Curtis has the most qualified team of Title V Inspectors in the Framingham, MA area offering affordable inspections with same day report capabilities. 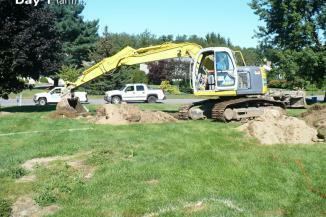 Homeowners wishing to sell their home in Wayland must have a Title V Inspection. Once this is accomplished, you sell your home!